Microsoft is terminating Nokia's Android program and company's CEO Satya Nadella said that select future Nokia X-series designs will be transformed into Windows Phone devices. However, there was no specific answer in which direction Nokia X2 is set to sail, which was already announced, but not launched in the market at the time of announcement of this change of strategy. However, we are now receiving tips about it already selling on certain markets such as Russia and Pakistan. 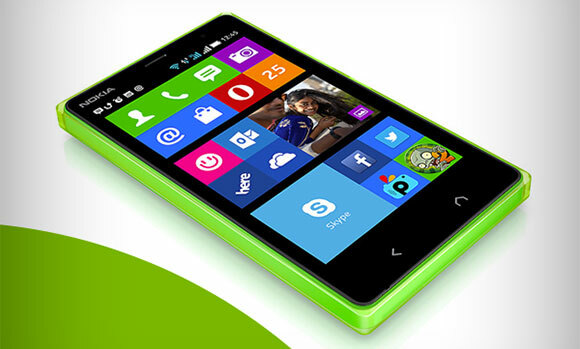 The price of the Nokia X2 smartphone is around 125 euro in Russia (6000 rubles), and around 115 euro in Pakistan (Rs. 15,490). Now, while there's no official word from Microsoft regarding the particular future of the Nokia X2, there can't be any more solid proof than that. The X2 will be Nokia's last Android phone to make it to the market. A hat tip to all the tipsters who sent this in.